BGS 69 - Just a Little Squee! | Black Girl Squee! BGS 69 - Just a Little Squee! Episode 69 is short but Inda and Didi are full of squee! We talk about two new projects for Queen Viola Davis, what may be next for Stacey Abrams and send a fade to a certain organization for ignoring the great acheivement that is Pose. Please forgive the audio, I need to get new equipment (ahem, ahem). 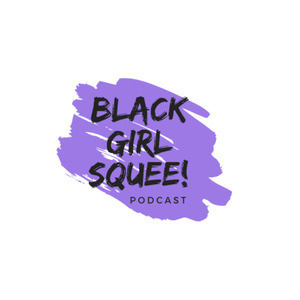 Black Girl Squee is on Twitter, Tumblr, Apple Podcasts (PLEASE RATE, SHARE, AND SUBSCRIBE!) and Google Play Podcasts. Support the show and get bonus content at the BGS Patreon! Check out the Black Swan Collective and Inda’s Corner Audio Essays at https://mixcloud.com/indalauryn.